Is there a way to print just the switch part of a printable template? All that other gobbledygook is using up all my ink! 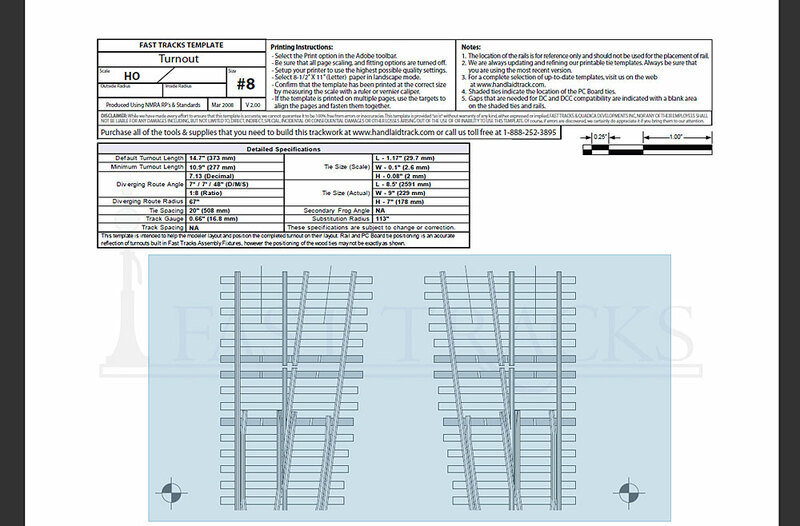 Yes, there is a lot of additional information on the tie templates that doesn't need to be printed. So here is a way to just print the switch portion of the tie template. Ensure you have the latest Adobe Reader. You can download the latest version here. Open the template in Adobe. Click on the Magnifying glass icon at the top of the screen. If you don't see the magnifying glass icon, right click and select Marquee Zoom. Draw a box around the part of the tie template you want to print. If it is a multi-page template, be certain to include the targets used to align the pages after. 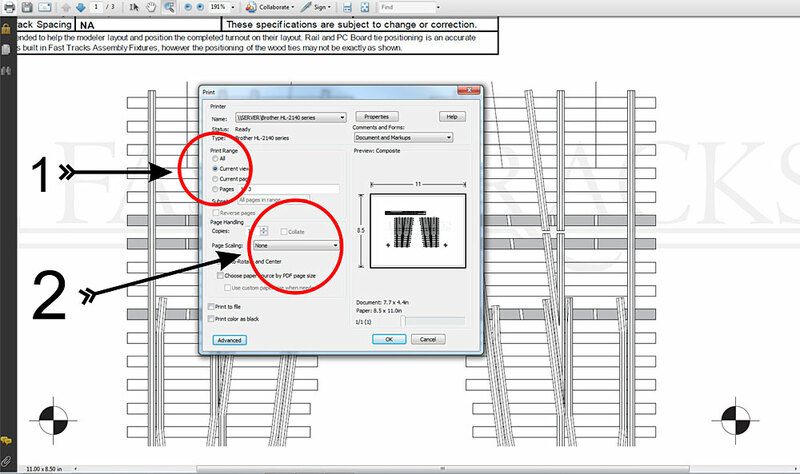 Select None on the Page Scaling drop-down list from the Page Handling section as shown in the image 3 next to line 2. This is very important, otherwise the printed turnout will not be full size. 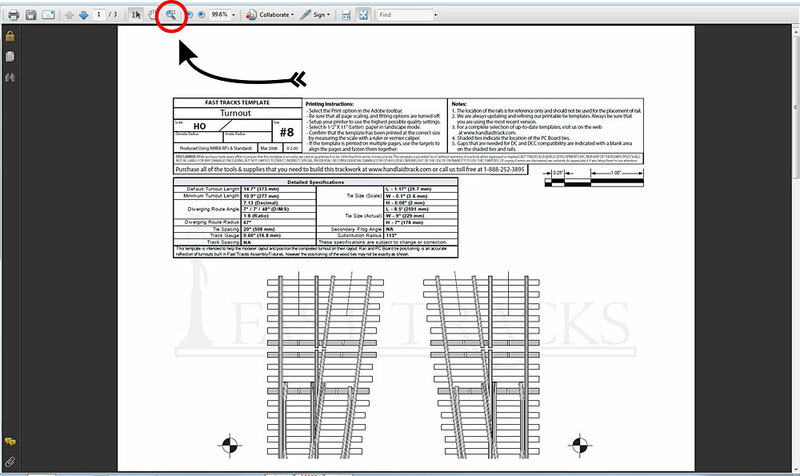 Draw a box around the portion of the tie template you want to print. If it is a multi-page template, be certain to include the targets used to align the pages after. Click on OK to send the image to the printer. Repeat steps 3 through 7 for each page of the template.